The Bears Den is located at Apex Mountain, 30 mins outside of Penticton BC, accessible by a good paved road. The "Bears Den” with hot tub(only available in ski season) over looking the Stray horse ski run is one of the best ski in ski out condos on the hill as it overlooks Stray Horse ski trail. Easy to access the village (a 10 min walk) and lifts and then at the end of the perfect ski day relax in the hot tub! The bears den with in-floor heat sleeps 4 with 1 bedroom with queen bed and 1 rustic log futon in living room and 1 full bath. Amazing view and Apex mountain boasts of many year round recreational activities including Nickel Plate Lake and Provincial Park (4.5 km away), The Nickel Plate Nordic Centre, Apex Ski Hill, Apex skating rink, Apex 1 km lit skating loop through the trees and miles of hiking, quad-ding and snow mobile trails to enjoy! 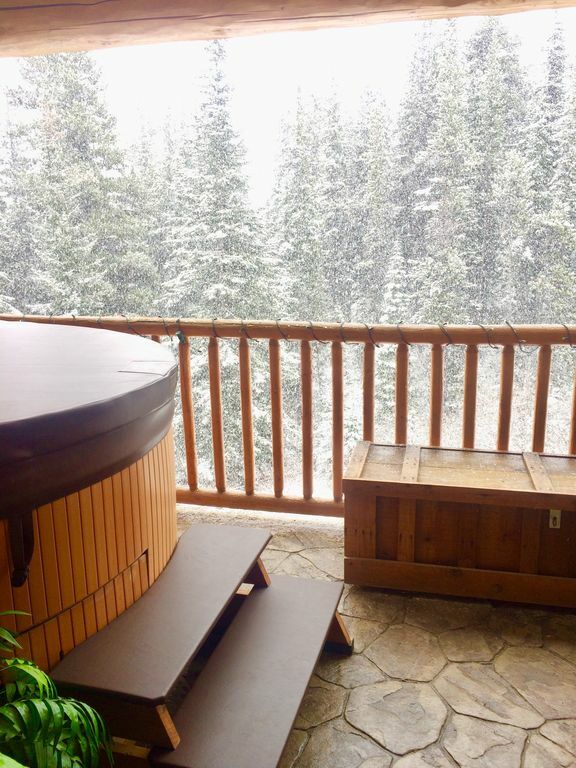 Off season is amazing as well, (no hot tub, as reflected in pricing) enjoy the great outdoors with hiking, biking and exploring all that this beautiful area has to offer! Had a great experience, but really needed the hot tub. Which wasn't available for summertime. I didn't feel like that was clear before rented. The owners were very hospitable and brought us movies to make us comfortable. Just read fine print and between the lines to make sure your getting all you think you are getting. So very sorry the hot tub wasn't available for your stay . This is a great place !Big thank you! Ski in ski out. Nice kitchen. TV + Wifi. Even has a hot tub. Would definitely recommend! Victorian Rose Gardens : beside the SS Sicamous.